The myth of the “Independent Report” or how the Tories are weaving threads of private interest into the very fabric of our country. We’ve heard this week of yet another scandal in the NHS with the release of the Grant Thornton Report into the Maternity Unit at Furness General Hospital and the failings of the Care Quality Commission. I first heard the news of this in the early morning of yesterday on the BBC 24 hour news channel. I was struck by the repeated emphasis the BBC put on the independence of the report. They didn’t mention who had produced the report at that time but simply dubbed it, in large letters on the screen, INDEPENDENT REPORT. 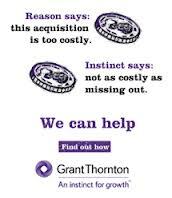 So striking was this emphasis that it immediately aroused my suspicions and a quick check on the Guardian website revealed just who had carried out the investigation – the UK arm of an international company called Grant Thornton LLP. So I decided to investigate just who these people were. It didn’t take me long to discover that back in August 2010 Grant Thornton offered the Conservative Party the equivalent of hundreds of thousands of pounds in cash and non-cash donations such as staff secondments and consultancy services. So it looks like the Coalition government dissolved a public body who audited public sector organisations very soon after the election providing more potential business for the big private auditors mentioned above and these guys hand over a significant financial reward – but only to one party in the Coalition. I’m not suggesting they should have shared their largesse equally between the two coalition parties by saying that but pointing out that on top of the significance of rewarding a political party at this time, this also strongly suggests they have some friends in the Conservative party they want to keep onside. Now we’ve all seen Margaret Hodge recently denouncing publicly and loudly about how KPMG have been allowed to be involved in government policy making on tax avoidance issues when they could soon be advising their wealthy clients how to get round the new regulations. The government obviously didn’t see any conflict of interest here or they wouldn’t have invited KPMG to consult on these matters. But then from a Conservative viewpoint, at least, their interests are definitely not conflicted by this. 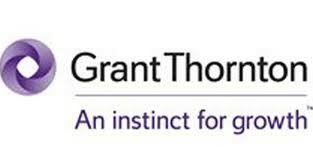 I decided this needed further investigation so I did a bit of digging into the main players at Grant Thornton…and what I found was very interesting indeed. Next up is Ed Warner OBE perhaps better known as the head honcho at UK Athletics and thus heavily involved in last year’s London Olympics. 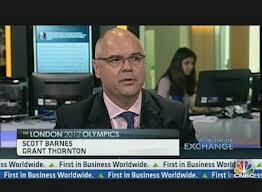 Ed is on Grant Thornton’s board but even more interesting is the fact that he’s Chair of Panmure Gordon, the investment bankers where David Cameron’s father made his fortune. One of the recent clients of Panmure Gordon is the pharmaceutical company based in Oxford,e-Therapeutics, who are currently working on a new cancer drug and a new drug for depression – both potential money spinners. They recently invested in a new drug discovery centre in Oxford which was officially opened by none other than David Cameron. Warner is also Chairman of the IPC Athletics Sport Technical Committee and was recently appointed as head of the Organising Committee for the 2017 International Association of Athletics Federations Championships (IAAF) World Championships in London by the Department of Culture, Media and Sport (DCMS) when it was still the remit of Jeremy Hunt, and the Mayor of London’s office. Boris Johnson personally vouched for him. Obviously Ed is well connected with some top Conservatives. 73% of the 200 big companies surveyed said “yes”. This is what our government claim is an ‘independent’ organisation. They seem to be rewriting the dictionary. Now we need to turn our attention to the CQC and in particular to its newly appointed CEO, David Prior because this is where the plot thickens. Prior was appointed as CEO on 28th January this year after the resignation of Jo Williams and in the midst of the current scandal. He earns £63K for 2 to 3 days work a week. What Professor Beresford doesn’t say is that back in 2007, when Prior was also the non-executive chairman of the private healthcare company Chancellor Care which owned Cawston Park, a private mental hospital, he was arrested, along with other board members, on allegations of defrauded the NHS of £2.3 million. He was later cleared of the charge and Chancellor Care was bought out by the Jeesal Group who provide private mental health care. From the moment he stepped into the job at the CQC Prior has been calling for hospital closures and criticising the state of A&E’s – in other words this head of a so-called politically independent watchdog has been publicly peddling the Tory agenda of privatisation. 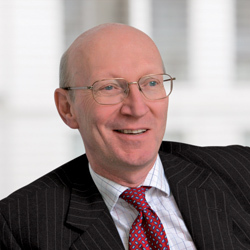 Robert Francis QC who was responsible for the report of the inquiry into the Mid Staffs NHS Foundation Trust has implied that in the future the CQC ought to merge with Monitor, who are the economic regulator set up to promote effective and efficient providers of health and care, to promote competition, regulate prices and safeguard the continuity of services. Whilst Monitor is a public body serious questions have been raised by Social Investigations about its CEO, David Bennett. David Bennett’s bias was also brought into question previously when a FOI revealed an email from an unnamed McKinsey executive from May 2010, suggesting it was planning to exploit its privileged access to government. It stated: “We have been gathering our thinking on the implications of the new Government programme for the NHS (and) have started to share this with clients. Would you like to meet to discuss it?” The recipient of the email was David Bennett. David Bennett was a former senior partner at McKinsey & Co, the architects of the £20bn savings that are being justified to sell off large chunks of the NHS. 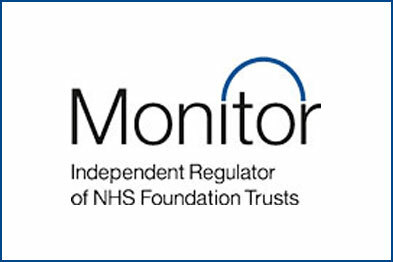 If the government were so eager to close down the Audit Commission almost as soon as they took over in 2010,paving the way for private auditors to make profit from public money, then its not inconceivable that they would merge the CQC with Monitor. 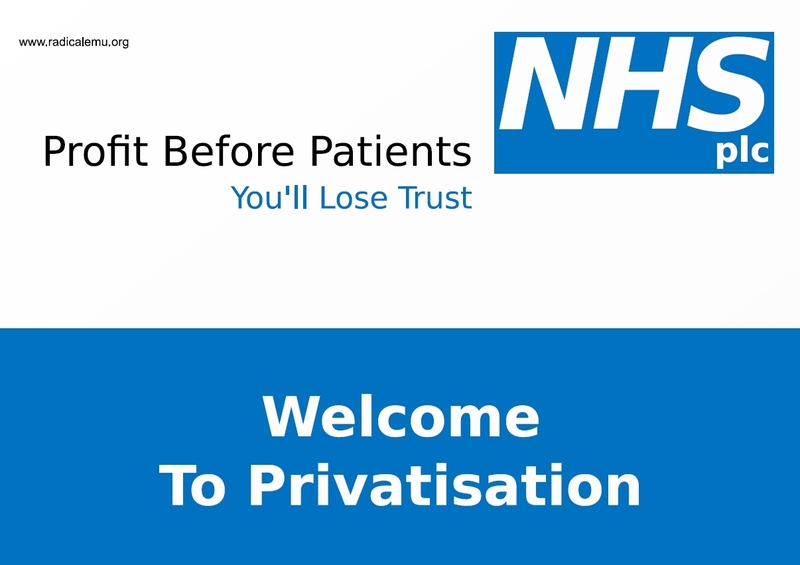 Since both David Prior of the CQC and David Bennett of Monitor seem ‘on message’ with the privatisation agenda, whatever watchdog emerged would be likely to embrace a culture of private healthcare. A culture that put profit before patients. It seems to me that the Conservative Party is effectively operating as a PR Department for big business simply there to sell their projects to us; and as such the democratic process is dead. These are people who WE employ to represent us, who are paid at least three times the average wage for that privilege. No you don’t David. You and your Party exist entirely to cater to the multinational interest. This entry was posted in lobbying, neoliberalism, NHS, privatisation, REFORM, Tories and tagged Audit Commission, BBC, Care Quality Commission, Conservative, Daid Prior, Daily Telegraph, e-Therapeutics, Ed Warner, Furness General Hospital, Furness hospital, Government, Grant Thornton, Grant Thornton International, Jo Wiliams, KPMG, Margaret Hodge, Monitor, NHE, Panmure Gordon, Politics, private healthcare, Richard Eyre, Scott Barnes, Social Investigations, the slog on June 20, 2013 by sparaszczukster.